Let me be clear – I am generally against borders. So it would take a lot for me to vote in another one. I have friends and family across all the British Isles and Ireland, but then I have connections all over the world. 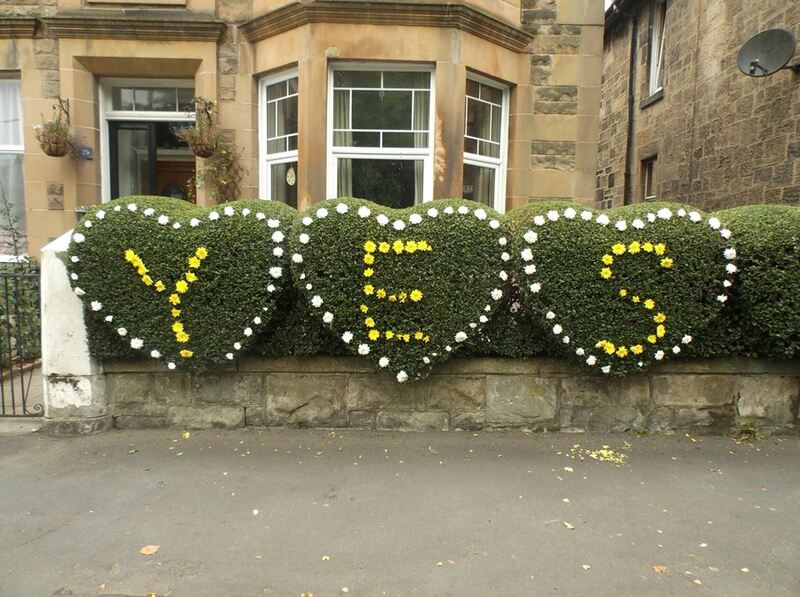 So I will vote YES – hoping for a genuinely fair, open, equal, multicultural Scotland with no nuclear bombs, better treatment of refugees and asylum seekers, a greener approach to energy creation and consumption, a thriving arts scene, a smaller, richer research community, social justice, more localised government and a better education, health and benefits system. After years of campaigning for all these things in the UK and abroad, I don’t expect to see this tomorrow, if ever. But I am willing to help and try to make it happen, I am willing to pay the price, and I don’t think we’ll have another such chance for centuries. And I believe change happens on a local level first. So let’s get smaller.